CBS 12 in Florida is reporting a barn fire at the South Florida Training Center in Lake Worth, Florida. 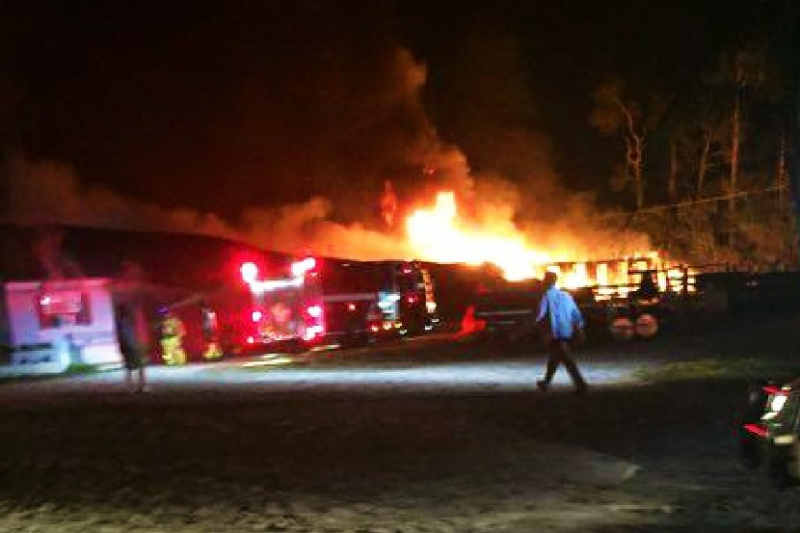 Reports from the Harness Racing community suggest that the fire is located at the barn of trainer Roman Lopez. At the time of this posting there is no word on whether there was a loss of life or not. All money donated through this fund will be split between Tommy Houghton, trainer Roman Lopez, and all horsemen effected by the fire. Funds will be sent to the FSBOA for distribution. For those wishing to send a check or money order please email us at mike@posttimewithmikeandmike.com for the mailing address we have. Thanks! Update as of 8:51 AM: During a short press conference this morning Sam Stathis said that 12 horses had perished and that 11 horses were saved. So sorry to hear of this horrific loss. Roman, I am so very sorry for your losses! Sorry for the loss! I hope this helps!